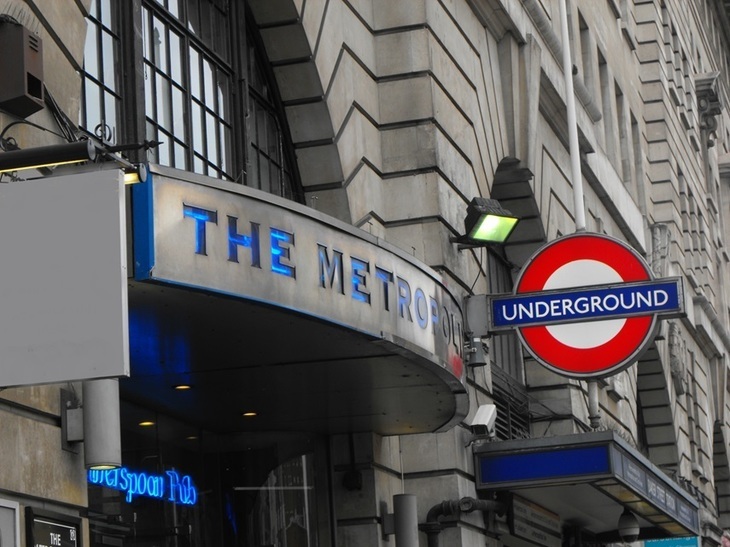 Over three years, I went on the hunt for the best pub in the immediate area of each of the 270 London Underground stations. Using this knowledge, I've pulled together a Circle line pub crawl. 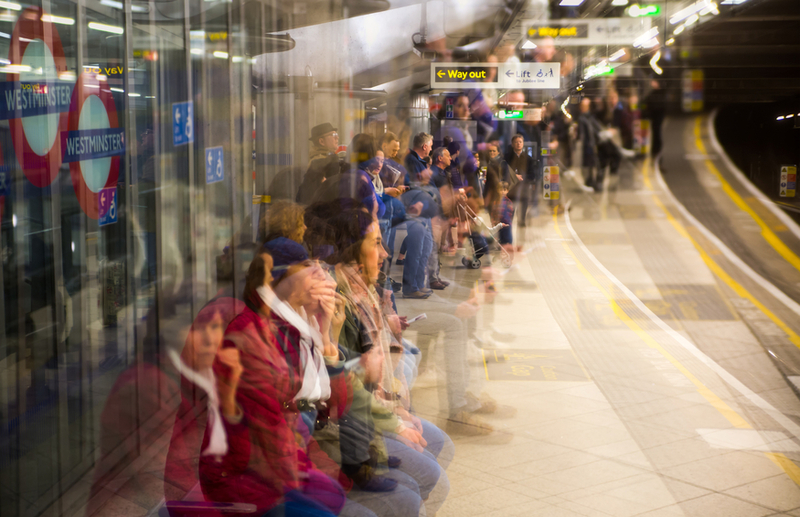 At 28 stops, this crawl was already long enough, before TfL extended the Circle line down to Hammersmith in December 2009. That brings it up to 35 in total. Gulp. The pubs I've chosen for each station are either the closest or within a five minute walk. 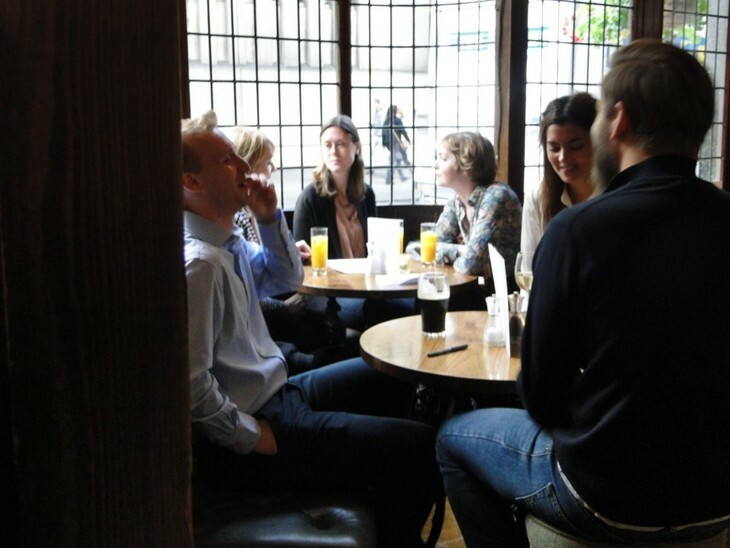 Oh, and by the way, Londonist urges you NOT to binge drink. Plenty of tap water on your way round, OK? A Long Island iced tea is among the cocktails on offer at The Hop Poles, but for goodness' sake, don't. This is all about pacing yourself. 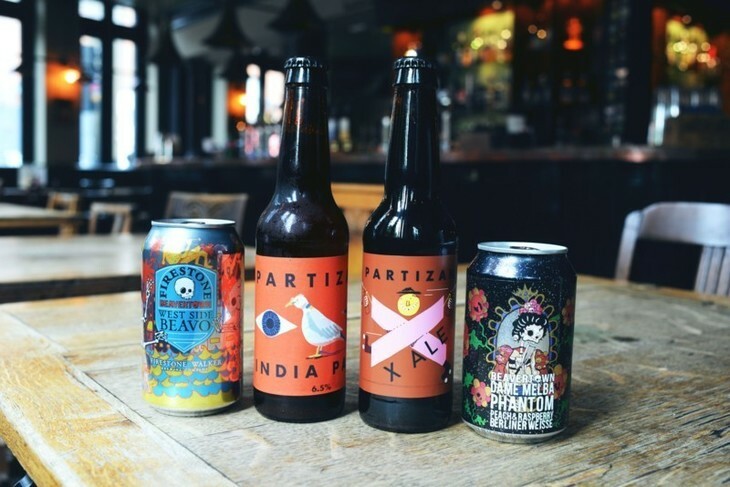 There are craft beers aplenty too — settle for one of these and climb to the spacious roof garden, where you can muse over the huge undertaking you've just embarked on. 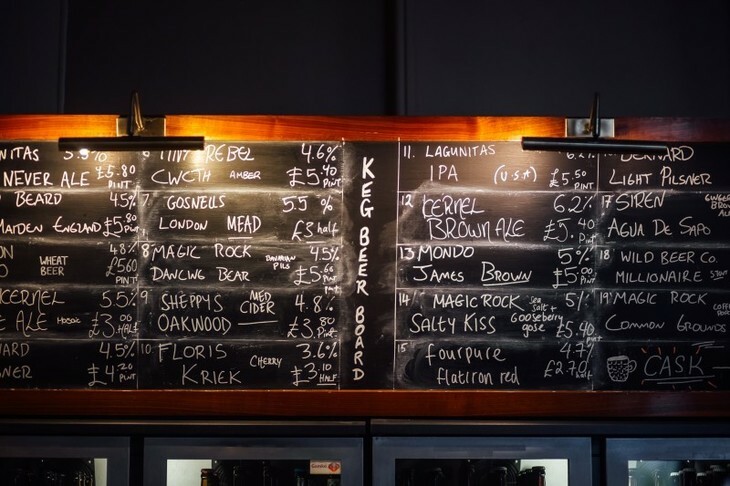 BrewDog is in the process of invading London one pub at a time — with their trademark exposed brickwork, and strong as heck beers. Generously, this place also serves boozy elixirs from London breweries like Gipsy Hill and Partizan. 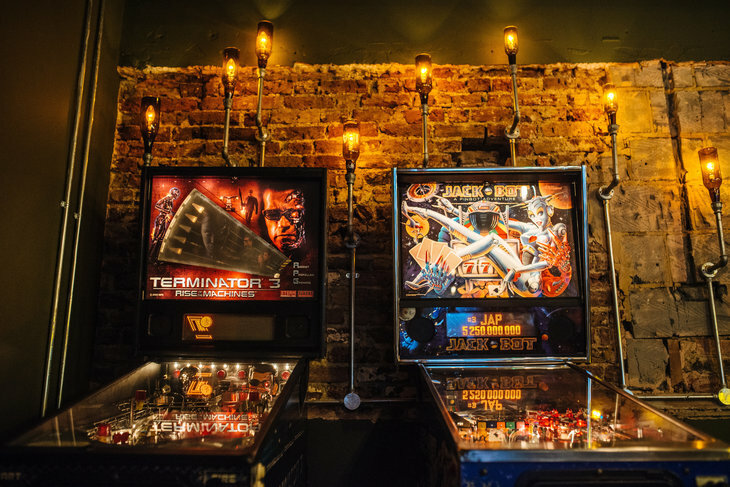 The five pinball tables — including an AC/DC one — won me over. 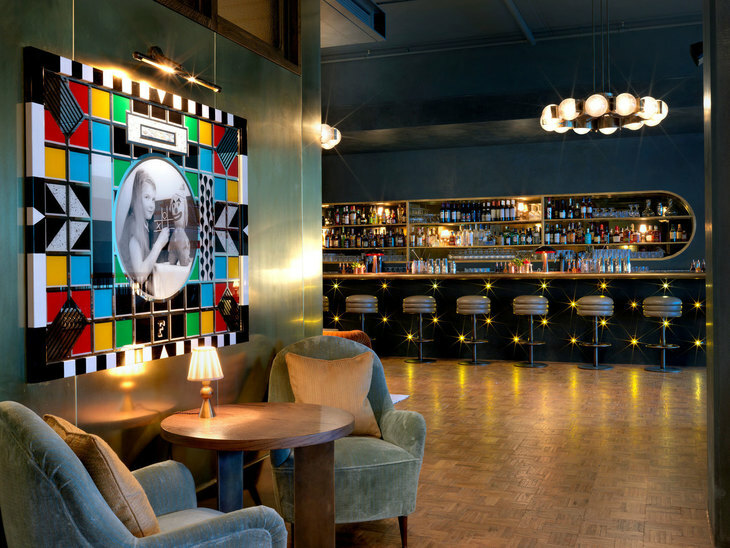 The Defector's Weld is a sprawling place, with big windows looking out over Shepherd's Bush Green. A very decent spot for people watching, while you sup on your half pint of Young's. On Friday and Saturday nights, DJs play till 2am. But we can't afford to hang around that long. Drink up. Relax on a lounger in The Garden Grill's enchanting oasis, and when it inevitably rains, retreat to one of the wooden grottos. On a curious tangent, I think The Garden Grill might be the only licensed wedding venue on the crawl. On the off chance you've already met someone nice by this stage. With its stonking great mirrors, stained glass windows, glazed tiling and etched glasswork, The Elgin could almost be a museum. Fortunately, it's very much a living, breathing boozer. 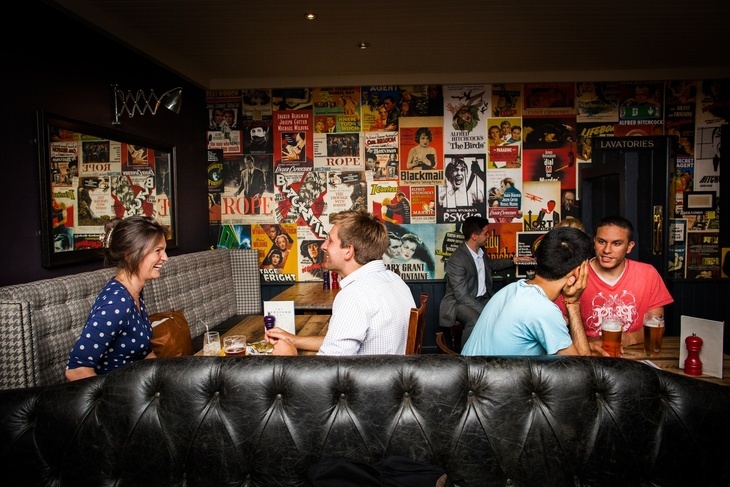 Maybe you'll be lucky enough to catch some live music while you get in a swift one here. 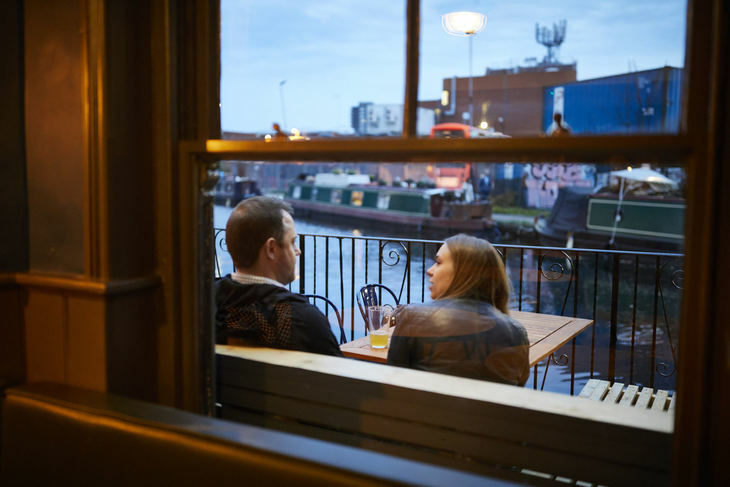 The main selling point of this pub is its setting by the Union Canal. An expansive garden backs onto the waterway, from where you can watch the occasional narrowboat drift by. It's not exactly idyllic though — there's a gritty, industrial vibe, what with the urban hum of the Westway, and the bus station's barbed wire fencing. Some people go for that kind of thing. This was the pub which gave Royal Oak station its name. Sadly it was renamed many years ago. Raise a glass to its former moniker, and move swiftly on. 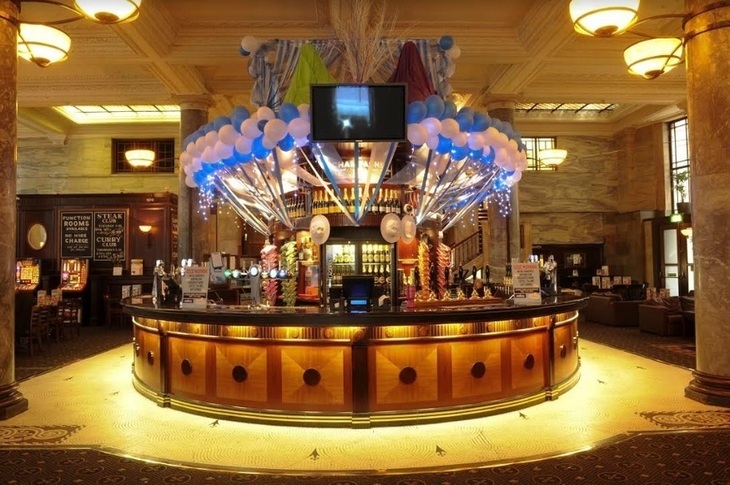 This grand Wetherspoons is located inside the building above Baker Street tube that used to be HQ of the Metropolitan Railway — owners of the first stretch of London's underground network. They've not missed the opportunity to scatter tube memorabilia liberally about the place. The gargantuan windows at The Albany make it a neat spot for watching the world going by, if only there was the time to do it on an epic pub crawl like this. If you do decide to stick around, treat yourself to an entire baked camembert from the bar menu. Surely that won't end in tears. 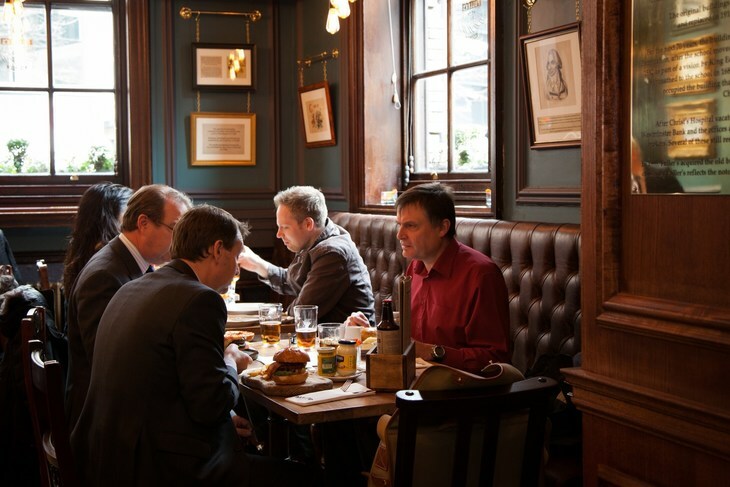 Located within one of the few remaining parts of old Euston station, The Euston Tap is a beer lover's dream. For one thing, the selection of brews will knock you for six. For another, it's two pubs in one — occupying adjacent gatehouses. Together, they offer almost 50 different draft beers on tap. If you start seeing four Euston Taps, you might want to have a coke. Dodge the hordes of wand-wavers at Platform 9¾, and ascend to this railway themed station pub, adorned with images of old steam trains. You can see their contemporary replacements if you sit by the windows looking onto the platforms. It's also one of the few pubs in England I've visited which has a lift up to it — handy if you're already feeling a bit knackered. 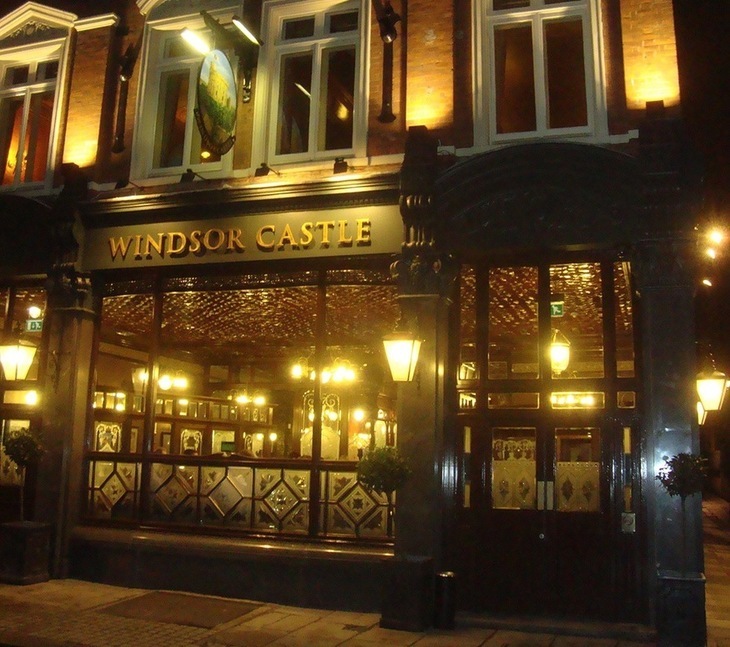 In many ways The Castle is your standard, bustling central London pub. But one eye-catching bit of décor reveals the most interesting feature: a painting depicts King George IV applying for a loan from the then landlord, to service gambling debts from a nearby cockfight. In return, George granted the pub a pawnbroker's licence, which it still holds and explains why there is a pawnbroker's sign outside. Thankfully the pints here aren't so expensive that you need to pawn your possessions. 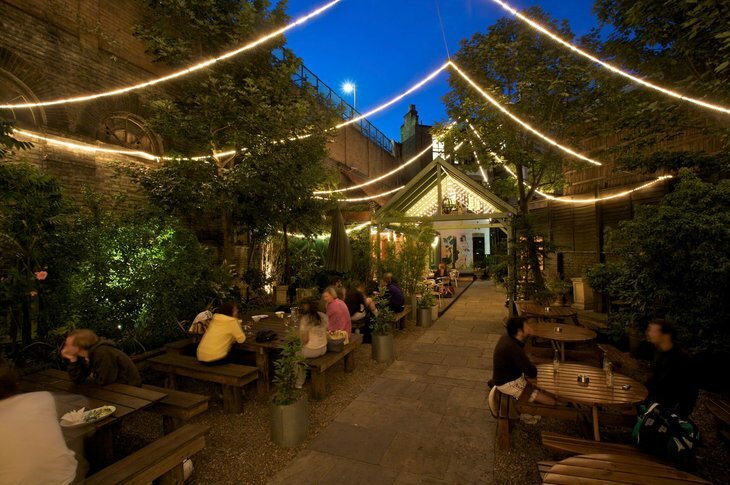 Flat roofed pubs have acquired a bad reputation over the years — The Shakespeare doesn't conform to this stereotype. It's a welcoming watering hole; comfy leather armchairs give the place a homely feel, which you aren’t expecting given the brutalist exterior. Food tip: get stuck into the expansive pizza menu. Nicholson's pubs can be found on City street corners almost as ubiquitously as City suits themselves. The Globe is the first of several on the crawl. Vintage lamps glow on the walls, illuminating the obligatory pictures of 'historic London'. Eschew your traditional warm pint, for a glass of refreshing Pilsner Urquell. Hamilton Hall is such a looker of a pub, you scarcely care how noisy it gets. 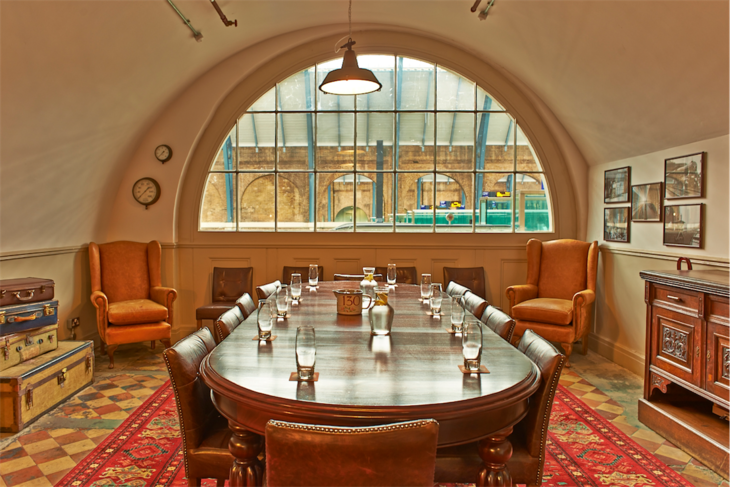 It trades from the former ballroom of the Great Eastern Hotel — one of those palatial Victorian railway hotels. Tilt your head to admire the golden chandeliers and rococo flourishes, while you sup on your drink. This is living. This characterful place survived the Great Fire of London by a matter of yards, surely making it the oldest pub on the crawl. It's also the only timber-framed buildings in the City — they were banned after the fire. While it might look poky from the outside, it extends back a long way. 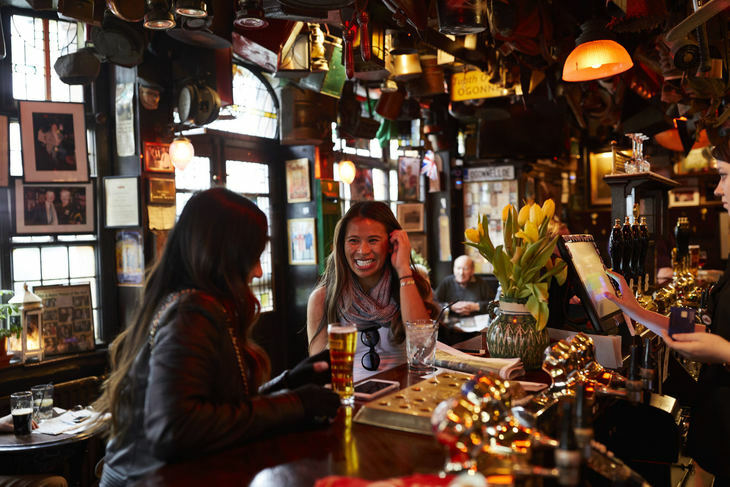 This is a place where pub crawls collide: you may well run into people on the Monopoly trail, dressed up in top hats (or, less likely, irons). Fuller's turned this former bank into a pub in 1995, naming it after a line from Samuel Pepys' diary. The walls are decorated with pictures of various historic figures including Oliver Cromwell, Henry VIII and at least a couple of his six wives. They've also got the text of the Treason Act 1351, which I assume allowed for the punishment of being Hung, Drawn and Quartered. 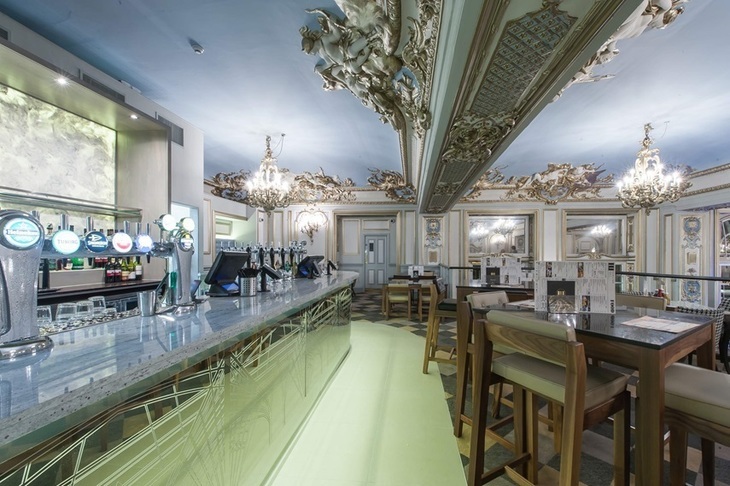 With its marble pillars and domed skylights, the Crosse Keys is a cut above your usual 'Spoons. Thankfully the circular bar here is also huge, which helps to deal with the thirsty hoards. They had 21 ales on tap on my visit — the list displayed on a TV screen above the bar, like an airport departures board. Chocks away! The only subterranean boozer on the crawl. The Cannick Tapps has gone for what I'd call a purposively scrappy vibe — half-painted walls, ripped posters and the like. They've also got lightbulbs in what look like egg whisks. Excitingly, they have a Mini SNES. Sadly, some old gent was on it during my visit. Ye Olde Watling's dark timbered rooms lend it a historical atmosphere, though it's not as old as you might think. Originally built in 1667, it was subsequently rebuilt in 1901 and again in 1947 after the Blitz. It was absolutely rammed when I dropped by — but it spills out into an alley, where punters congregate in vast numbers. The Black Friar's wedge-like shape reminds me of New York's Flatiron building in New York — and is one of the most fascinating pubs on this crawl to boot. 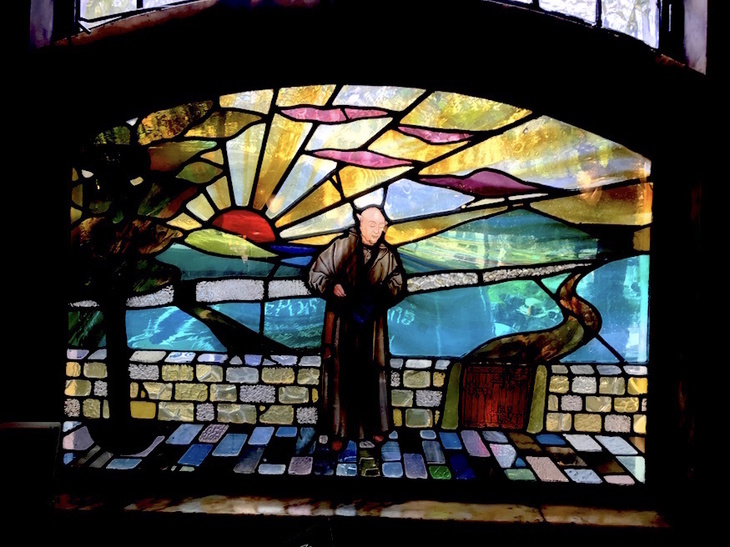 Art nouveau friezes of jolly monks line the walls inside and out — many of them getting up to no good. You'll be tempted to stay for a few here, but onwards! The Edgar Wallace is named after a prolific crime novelist of the early 20th century — apt for a pub in London's legal district. (Wallace also created King Kong.) 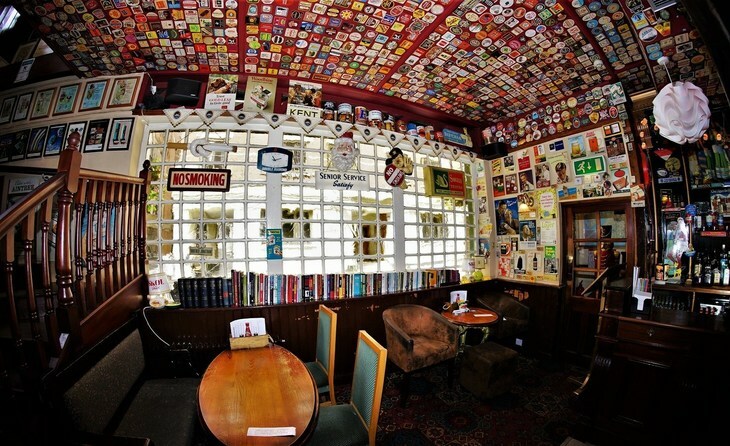 The ceiling is plastered with hundreds of beermats while the walls have old cigarette adverts for brands like Rothmans and Old Holborn. On the stairs are photos of Cliff Richard and Bruce Forsyth — previous winners of 'Glove Wearer of the Year'. The final Nicholsons pub on the crawl and probably the most generic. On a more positive note, it did have seven ales on tap plus various lagers when I visited. We'll excuse you if you decide to shuffle a few doors down, for a sherry at Gordon's Wine Bar though. The Red Lion is packed with politicos during the week, no surprise given its Westminster location. At least one of the TVs here has BBC Parliament on, for those who want to at least pretend they are trying to keep up with whatever's going on across the road, in Parliament. This civil servants' favourite is the only Sam Smiths pub on the crawl. Its thrifty drinks will no doubt be welcome, as your wallet will have taken a right hammering by this point. Enjoy your cheapo pint while admiring the cut glass gin palace partitions. We'll be honest. The Zetland is one of those very dull Greene King pubs, peddling generic 'ye olde fish and chips' to Albertopolis tourists. The dullest pub of the crawl — knock back a tap water, use the toilets and be on your way. Head to a wall at the back of the The Hereford Arms, and you'll find it plastered with posters from Alfred Hitchcock films. He lived nearby, and used the Royal Albert Hall for shooting two versions of his film, The Man Who Knew Too Much. The Britannia sits on the site of the Britannia Brewery, which opened in 1834. Serving drinks to punters ever since, unfortunately it no longer brews its own ale, so you'll have to settle for a Young's bitter or Peroni. The jazz soundtrack playing on my visit here helped keep me moving. And now for something completely different. Visit The Churchill Arms in summer, and you'll find it blanketed in hanging baskets and flowers. At Christmas, it glitters with 90 Christmas trees festooned with 11,500 lights. The Winston-themed trinkets and Union Flags inside are no less impressive. Also look out for the cricket bat on the wall; the pub staff play an annual match against The Antelope from Sloane Square. This was also apparently the first pub in London to have a Thai kitchen. What a place. The Prince Alfred: you made it! A former Canadian soldier here once asked me and a friend where the best place in London was 'to meet broads'. 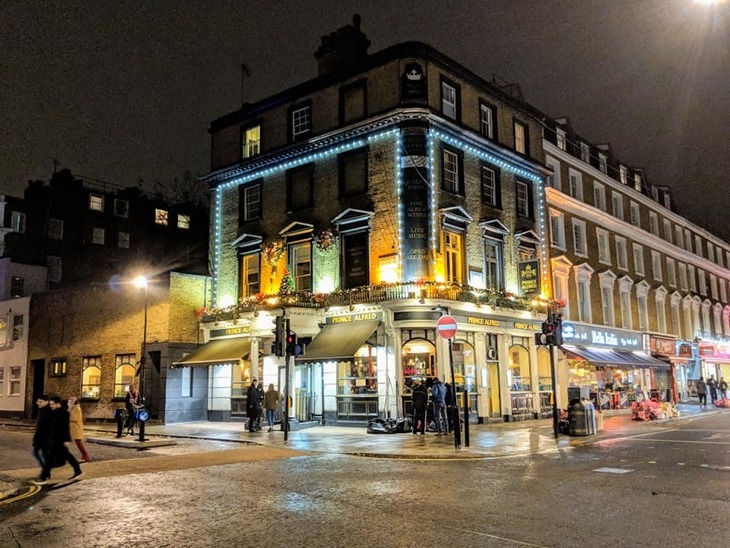 The Prince Alfred is a touristy pub alright — maybe you can escape to the sometimes-open roof terrace and crack open a bottle of fizz to celebrate completing the Circle line pub crawl. But let's face it, the last thing you'll want right now is another drink. You might find them selling flowers out the front of the pub. If so, buy a bunch to help explain to your loved one what you've been up to.